A while back, I received sets of cocktail, chai, and recipe dice from a company called Leafcutter Designs. 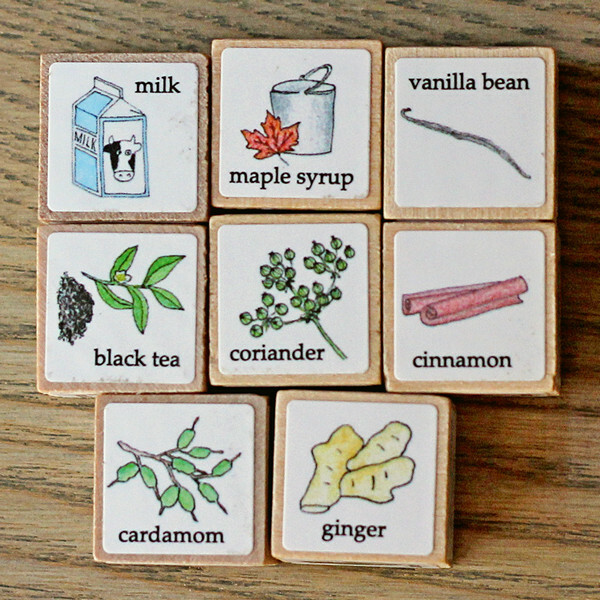 The general idea is that you roll the dice and create a cocktail, chai, or recipe based on what you roll. It's a great way of brainstorming. And it's a lot of fun, too. And tasty. I'll admit that I don't follow the dice every single time - I mean, no one's looking, so if I roll an ingredient I don't have, I don't use it. Or I might tip one over now and then to get an ingredient I like better. 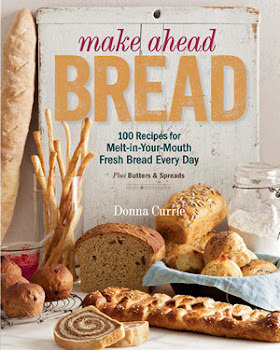 And pretty soon I'm going to cross out "arugula" on the recipe dice and maybe change it to endive or radicchio. This time, I decided to roll the chai dice. 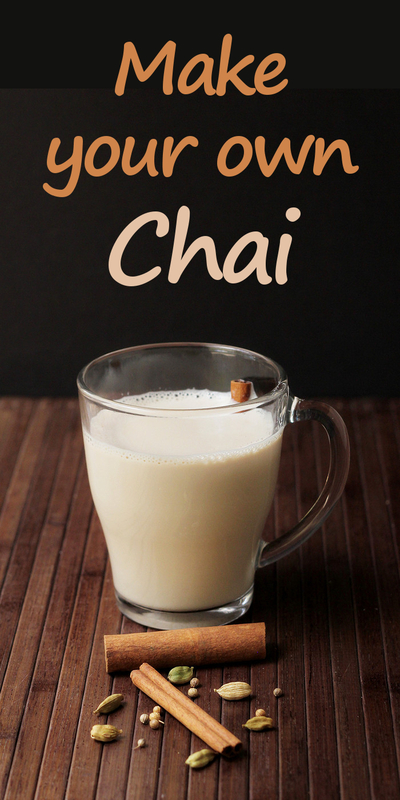 I was in the mood for chai and didn't want to look up a recipe. I figured that the dice would lead me to some good flavors. The funny part was when I rolled the dice and saw that I rolled black tea, I had no idea if I had any plain black tea. I have a LOT of different teas, but most are mixed flavors, many are herbal, and some are green. I dug through my box 'o tea and through the random packets, and I found one black tea teabag. Just one. But it was enough to make a single glass of chai and that was all I wanted. The thing about the dice is that while you roll ingredients, you don't roll amounts, so two people could roll exactly the same thing and end up with completely different things. Even with chai, where there are some pretty specific flavors that are expected, there can be a lot of variations. For example, I used a dried ginger product instead of fresh, and I used vanilla extract instead of a vanilla bean. And I used a whole cinnamon stick, but I could have opted for ground. The "milk" die says milk on all sides, but I could have made my chai with almond milk or soy milk or any other milk. And I made a hot chai. I could have made a cold drink with chai flavors, too. I liked this version. I might make it again. Or, you know, just roll the dice and see what happens the next time. Put all of the ingredients except the cinnamon stick in a small saucepan and heat gently. You could also heat the milk in the microwave in the mug you're going to use, but keep in mind that it tends to foam up, and you risk having it foam and spill out of the mug if you don't watch it carefully. Let the spices steep in the milk for a minute or two. Go ahead and taste it and see if it's strong enough. If not, let it steep longer. If you steep so long that the drink cools off too much, just re-warm it. Hey, we're having fun here. There's no wrong way to do this. Put the cinnamon stick in the mug you'll use. If you want a stronger cinnamon flavor, you could also let it steep with the rest of the spices. Your drink, your choice. I liked the idea of using it as a stir stick, so that's what I did. Strain the milk into the mug. Serve. Note: I got the dice at no cost to me from Leafcutter Designs for the purpose of a review. I already wrote about them here, but. I continue to use them because they're fun. You'll probably see them used here again.